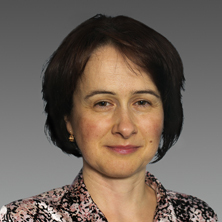 Dr Gorlanchuk gained her initial medical qualifications in the Ukraine. After moving to Australia in 1997 she undertook training in Anaesthesia in Adelaide, South Australia. Dr Gorlanchuk gained broader experience as a Consultant Specialist Anaesthetist while working in the public and private sectors in NSW, Queensland, Victoria and Tasmania. In 2012 Dr Gorlanchuk moved to Perth where she enjoys a busy and varied practice in Anaesthesia both in the private and public sector. Dr Gorlanchuk’s professional interests include Anaesthesia for orthopaedics, spinal, bariatric, plastics, ophthalmology, urology, dental and oral surgery. Additionally she is experienced in working in the Catheter Labs of the major hospitals in Perth for cardiac procedures. Internship, and general medical and surgical residency at The Queen Elizabeth Hospital, Adelaide. South Australian Teaching Hospitals Rotational Training Scheme in Anaesthesia and Intensive Care.